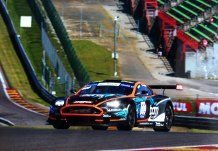 Team Speed Car sells Aston Martin DBRS9 GT3 . Equiped with 2011 endurance pack for Blancpain serie. Spare parts, wheels, set-up tools, etc..